A properly conducted physical search around home or the place last seen is the #1 effective technique for finding a missing pet. Make a poster with a good photo and hang up it all around town, call ALL vet offices and shelters. Go beyond just the local area - animals can travel far in a short time. Just the opposite can be true also - keep looking close to your home - house cats especially won't travel far. Give copies to all your neighbors. There is a link below on making your own flyer. You might consider setting a live trap. This is especially helpful if your cat is timid and shy. SOS has tips on trapping on their website: www.spayourstrays.info. The site is for feral cats but the trapping can be used for trying to trap any cat. SOS has traps that can be borrowed - contact them directly about how to use and borrow. Leave complete information for the Lost List at the Shelter (585-343-6410 option 7). Immediately post a good photo, description, location and phone number on Genesee County, NY Lost and Found Facebook page. You must join the group before you can post and your Facebook profile location must be in Genesee County to join. Most local newspapers including The Daily News (585-343-8068) and The Pennysaver (585-343-3111) will run free ads for lost pets. For a complete list of local shelters, go to Petfinder.com and AdoptAPet.com - and type in your zip code. These are places to contact to watch for your missing pet. Offices and shelters get busy, so keep calling. Once your pet is found, consider microchipping. If tags are lost or as is true for most cats, there are no tags, the microchip can speak for your pet. But don't forget the tags for dogs AND cats! If tags that have your phone number are on the animal, chances of getting them back home to you is much more likely and will happen faster. 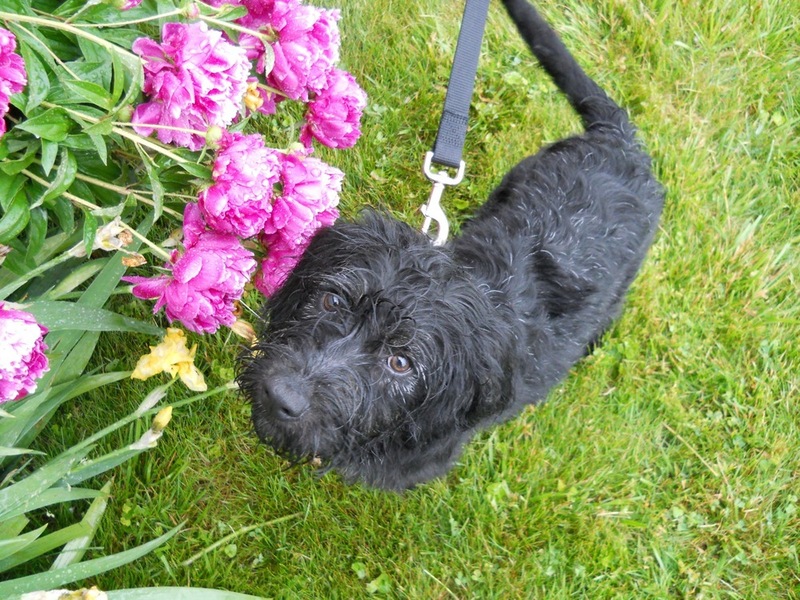 Go to our website page for more information on tags and microchipping. Also call the places you contacted so they can up date their lost lists and pull posters. Everyone likes hearing that a pet has been reunited with its family! THINK LOST, NOT STRAY - someone may be frantically looking for their lost pet. A lost and found list is kept at the Shelter. Call to check the list for the missing animal and to be put on the list (585-343-6410 option 7). Ask to bring the animal into the Shelter in order for it to be scanned for a microchip. Immediately post a good photo, description and location on Genesee County, NY Lost and Found Facebook page. Consider making a flyer to post in your area especially with your neighbors. The majority of cats picked up are within 2 blocks of their home. Below is a link to make your own flyer. Most local newspapers including The Daily News (585-343-8068) and The Pennysaver (585-343-3111) will run free ads for found pets. You must be a Genesee County resident and call the Shelter to speak with an Animal Control Officer BEFORE coming to the Shelter (585-343-6410 option 7. We have limited kennel space and can only accept adoptable animals. If you are told to bring in an animal - PLEASE BRING ANY AND ALL VET RECORDS - this helps to get the animal up for adoption sooner. The Genesee County Animal Shelter does not euthanize due to time or space issues. As long as the animal has no serious behavior issues or medical problems, they will be kept until they are adopted. If you are considering surrendering an animalwith either behavior or medical problems and do not wish to take the animal to a vet to be euthanized, ERIE COUNTY SPCA or LOLLYPOP FARM will accept these animals. A donation is requested. We are a small shelter with limited space and resources. We can only accept a cat if we have cage space. If the cat is sick or injured, we must have a spot in a foster home in order to accept it. We cannot accept any cat in a trap or that is not "touchable." If the stray cat is feral or wild, please go to www.spayourstrays.info for more information. If you are interested in inquiring about bringing in a cat, please call the shelter at 343-6410 between 9-3 any day of the week. You must be a resident of Genesee County to bring an animal into the shelter. We have a limited number of cages as well as limited space in our foster homes. There will be times of the year when we are over capacity and cannot accept any more cats. We are not able to help everyone who calls and will need your help and understanding. What can you do in the meantime? Other options include taking the cat to Lollypop Farm in Victor, NY or SPCA in Tonawanda, NY. Run a found ad in The Daily News and The Pennysaver - they are free. If the cat is severely injured or sick, consider taking it to the vet to have it euthanized instead of letting it suffer. If you are able, find a place in your basement, shed, porch or garage to keep the cat safe and fed until it can come into the shelter. Take the cat to a vet for basic vaccines and consider getting it spayed or neutered. If basic vet care is provided for the cat, it will help to get the cat up for adoption much quicker. Spaying and neutering will prevent more stray cats. Check our Resource Page for low cost spay/neuter options in the area. 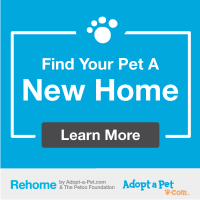 Find Your Pet A Loving Forever Home - Adoptapet.com has a website that you can post your pet to safely find a new home. You post your pet's profile, review adopter applications, answer adopter questions as well as many other resources to help in your placement of your pet. Consider running an ad and making a flyer to post in your area. Be sure to screen potential adopters to help find a good home for your pet. Below is a link to make your own flyer. Thank you for your request! We will add you to our email list.